Are you interested in hiring a commercial broker to help lease your property but unsure of how much it will cost you? 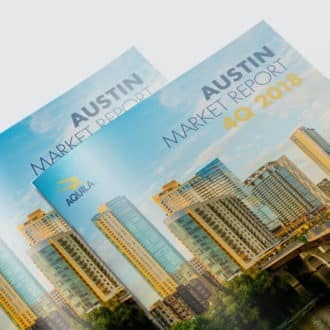 As a trusted leader in the project leasing industry, AQUILA has a deep understanding of our market and what rates and fees are charged by brokerage firms in the Austin area. Generally, there are no upfront fees to hire a leasing broker. Once you have selected a broker or firm to work with, you will negotiate brokerage fees (also known as commissions) paid when a broker leases a space, which is how you will primarily compensate your broker. These fees will be detailed in a listing agreement – a contract between you and your leasing broker. Exceptions to this may occur if a broker is being asked to consult on a property. In this case, a broker may ask for a retainer or, in some cases, an upfront fee. 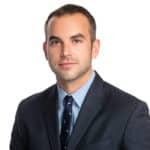 This is generally done in cases such as the early phases of a new, ground-up development when a broker might not have a chance to execute a lease for several years. Retainer fees vary greatly and depend largely on how much time the broker is being asked to devote to a particular project and how many brokers are being asked to work on a project. These fees are typically paid monthly and can range from hundreds to thousands of dollars a month depending on the scale of the project. What is a standard brokerage fee for a commercial listing broker? As stated above, commercial real estate brokers are compensated via commissions. Commissions are fees paid when your broker successfully leases the space. So what is the standard fee that landlord brokers charge? This varies from market to market, and more so amongst property type. It can also vary based on the type of lease – a new lease or a renewal – and how many brokers are involved in the transaction. Below we will break out typical fees and how they may vary based on the circumstances listed above. 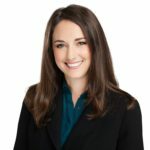 For new office leases in Austin, a landlord can expect to pay 6% of the total gross rent collected over the lease term (which includes the base rent plus the operating expenses) to the brokers involved in the transaction. The project leasing broker typically takes 2% of that brokerage fee and the other 4% goes to the tenant rep broker. It’s important to note that when calculating the total gross rent collected, annual base rent escalations (which are customary and written into the lease) should be factored into the total cost. However, given the uncertainty associated with future operating expenses, for commission calculations it is assumed that these will remain flat throughout the length of the term (i.e. do not add any annual escalations to the operating expense portion). Typically this is capped at 10 years outside of any free rent period, however, this is a negotiation point and commissions could be earned past the 10-year period. If there is more than one broker on each side of a transaction, those brokers will split the fee amongst themselves; the landlord’s fee will not change. Typically in office leasing, most firms will keep their fees the same on renewals as new leases. However, in certain circumstances, the landlord may try to negotiate lower fees for renewals. This is extremely rare though and is something that should be negotiated prior to signing a listing agreement. When a tenant expands, the broker is paid the same as a new lease deal. In some cases, a tenant will not use a tenant representation broker. What happens in this case? Typically for a “direct deal” as this is called, the listing broker will receive a 4% fee and you (the property owner) will save 2%. Even though you are saving 2% on the total fee, you may think “why do I need to pay the leasing broker double what they normally charge?” This is because the leasing broker is having to spend extra time educating the potential tenant on certain things, such as market trends, rates, etc. which is normally the tenant representation broker’s job. The fees for retail properties are similar to office; however, the main difference to note is that the percentage fee is taken from only the base rent and not the gross rent. For new retail leases in Austin, a landlord can expect to pay 6% of the base rent over the lease term (which doesn’t include the operating expenses) to the brokers involved in the transaction. The project leasing broker typically takes 2% of that brokerage fee and the other 4% goes to the tenant rep broker. An exception to this could be if a retail or industrial space is leased to an office tenant. In this case, the fee would be charged on the gross rent. Like office leases, if there is no tenant rep broker on the project, then the landlord rep broker is paid 4%. South Towne Square is one of the retail centers AQUILA leases. To learn more about our retail leasing services for property owners, contact our retail guru Jason Faludi. The fees for industrial properties are broken down the same way that retail properties are, in that the fee is charged based on the base rent, not the gross rent. Below is the standard breakdown of fees; however, sometimes there are exceptions to this, which are also explained below. 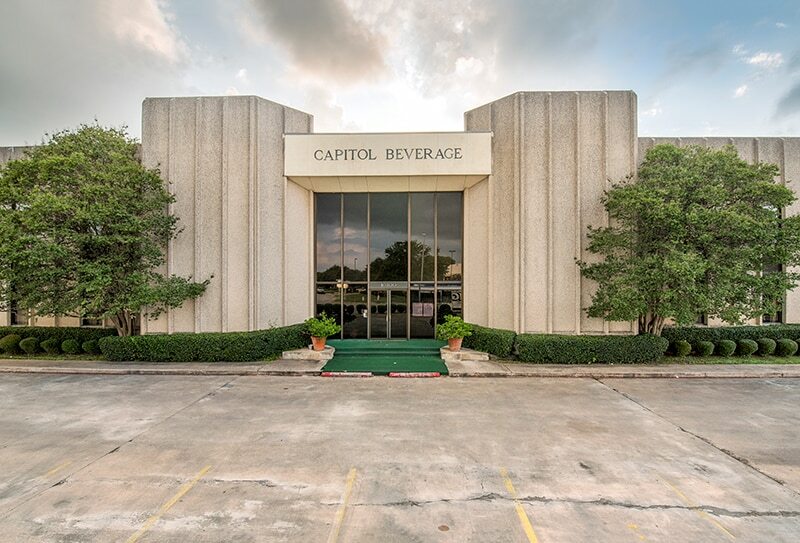 For new industrial leases in Austin, Texas, a landlord can expect to pay 6% of the base rent (which doesn’t include the operating expenses) to the brokers of the transaction. The project leasing broker typically takes 2% of that brokerage fee and the other 4% goes to the tenant rep broker. Expansions follow this same model. Unlike new leases and expansions, the fee for an industrial renewal is typically 4% of the base rent. This fee is split in half between the landlord rep broker and the tenant rep broker, with each getting 2%. Like office and retail leases, if there is no tenant rep broker on the project, then the landlord rep broker is paid 4%. Sometimes, the standard fee may change depending on the amount of office finish in the space, as well as how hot the market is at the time. If a space is 5% warehouse and 95% office, for example, the broker would ask to be paid on the gross rent (base rent + operating expenses). Alternatively, if a space is 5% office and 95% warehouse, then the standard industrial fee would apply unless the market is slow. When the market is slow, landlords may pay more fees (will pay fee on gross rent and not just base rent) to encourage the brokers to bring in tenants to lease their property, which is referred to as a broker’s bonus. But when the market is hot, landlords may pay the lower end of fees. 10300 Metropolitan is an example of a flex industrial building that has office space. 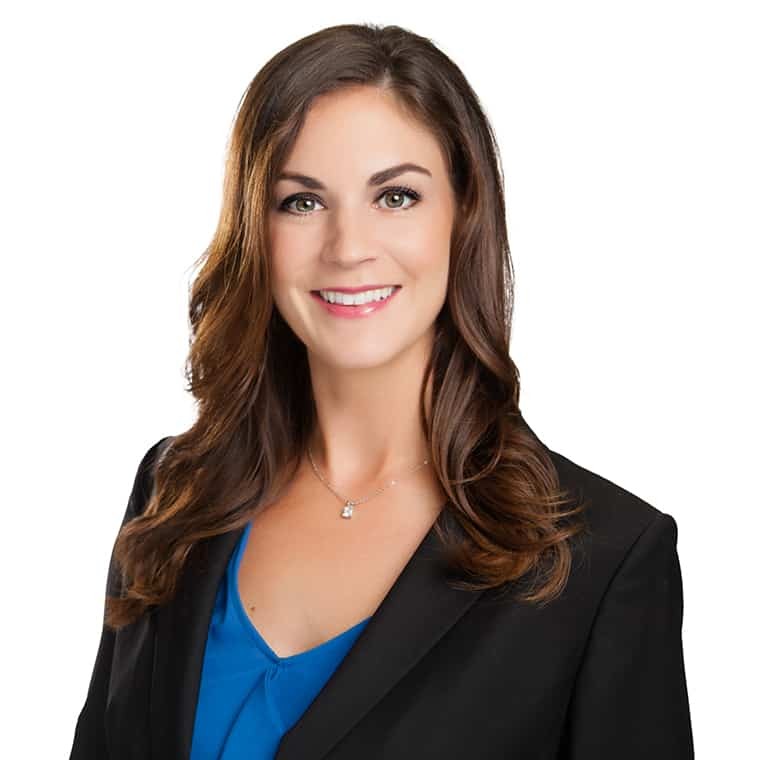 To learn more about our industrial leasing services for property owners, contact our industrial specialist Leigh Ellis. Brokerage fees for the sale of properties is slightly different than that of leasing a property. The typical fee is a fixed percentage of the sale price. For a more in-depth look at fees in investment sales transaction, check out our article, How much does it cost to use a broker to buy or sell a property? What affects the actual amount I owe my broker? Tenant rep broker or no? – If a tenant rep broker was involved in addition to the landlord rep broker a 6% fee is standard – remember, in direct deals, the landlord typically only pays 4%. Also remember that while the rates above are standard, there are cases when these fees can be negotiated. Talk about this with your broker prior to both parties signing a listing agreement. When commissions are paid depends on the type of lease being signed. A new lease will split the commission in two payments. Most renewals/extensions will be paid all at once. Below are more details on when commissions are paid depending on the type of lease. Part 2 – The remaining 50% of the fee is paid either upon the commencement of the lease or at the time the tenant occupies the space or sometimes both must occur before the second half is paid. In new leases, the fee is typically not paid all at once because the landlord takes on more risk by bringing in a new tenant. This presents more risk because the landlord is having to come out of pocket to pay for leasing fees (attorney fees, commissions expense and possibly tenant improvements) prior to the tenant having paid any rent. Therefore the market standard in Austin Texas is for only half the commission to be paid up front. The commissions for a renewal lease or extension are typically paid all at once upon execution of the lease renewal/extension. This is because there is less risk in a renewal deal since the tenant is already occupying the space and paying rent each month. Expansions are treated like new deals, so 50% is paid upon execution and the other 50% is paid when the tenant expands into the space. If a tenant’s lease doesn’t expire for a longer period of time, two to three years into the future, for example, the landlord may negotiate the payment to coincide with the original expiration date since the funds to pay the commissions might not have been accounted for in the year that the renewal/extension was executed. Are there other costs a landlord should account for when leasing a property, outside of brokerage fees? Yes. Oftentimes the landlord will be responsible for paying for things such as the tenant improvement allowance, test fit costs, attorney fees or any additional marketing costs. Landlords often offer a TI or “tenant improvement” allowance, which is a negotiated amount of money that the tenant is allotted to put towards building out their space. This often serves as an incentive for a tenant to lease a space. The cost to build out a space may sometimes be more than what the landlord gives to the tenant, in which case the tenant must pay the remainder. The landlord and tenant will negotiate the amount of TI in the proposal/LOI stages. To understand what standard TIs look like in the Austin market, download our whitepaper, Six TI Questions Answered. First off, what is a test fit? A test fit is a 2D layout of a space that is mutually designed between the landlord and the tenant. Test fits are often done during the early phases of a lease negotiation in order to give the tenant a better idea of how a space will fit their needs. The tenant will typically have a good idea of how many offices, conference rooms, break areas, etc. they will need to run their business and they will pass this information along to an architect who will create a layout that fits their requirements. Test fits typically cost 10 to 12 cents per square foot and are sometimes wrapped into the TI allowance. Typically, a landlord will pay for a test fit only if the building falls in the prospects top two or three choices. Sometimes, property leasing brokers may suggest ordering a sample test fit of a certain space in order to better market it. 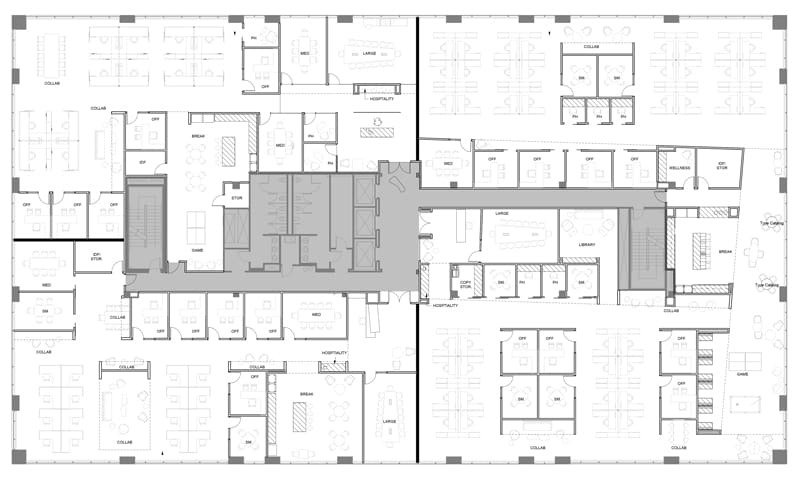 This allows prospective tenants to see a vision as opposed to an empty floorplan. Most of the time an attorney is needed to draft contracts, such as listing agreements, commission agreements or leases for new and existing tenants. These documents are typically negotiated and an attorney is needed to help guide the landlord on which changes requested by the tenant should be accepted or rejected. This fee varies and is usually paid hourly. *Signs can vary depending on property type. 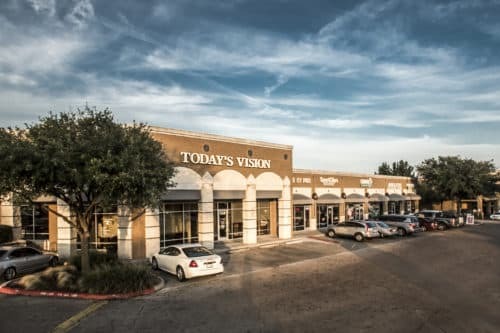 For example, an office building may have a 4’x8’ standard sign in front of the building, while a retail may have both a standard sign in front of the shopping center as well as a banner over the space for lease. A land listing located off a highway may require a bigger sign for visibility. Sometimes the cost of the signage is paid for by the landlord, depending on what is negotiated in the listing agreement. If requested, the landlord can also be provided with regular reporting on their property, from a system such as View The Space. Reputable commercial real estate firms will offer property owners basic marketing collateral free of charge. Marketing expenses that are typically reimbursed by the landlord can also include prospective-tenant entertainment, such as taking them out to lunches or dinners. There are also broker parties that landlords may host when they have either a large block of space coming available or want to bring more attention to a proposed or under-construction building to help with pre-leasing. These events are usually paid for by the property owner. Working with a reputable company like AQUILA, who has strong vendor relationships and a creative in-house marketing team can ensure that you get these items at good rates. Reputable firms will also be well connected with third party providers like drone companies, architects and professional photographers and can help get you the best bang for your buck. For more information on what marketing expenses a landlord might incur, check out our blog post How much does it cost to market a commercial property? The bottom line is that while fees are relatively standard across markets, there are a variety of factors that can impact your total cost. Be sure to fully read and understand listing agreement and address any questions or concerns with your broker prior to executing the agreement. If you have any questions about AQUILA’s project leasing services, request a consultation today.